Other firms that rank U.S. carriers like Ookla and Open Signal use crowdsourced information from free apps that perform speed tests after being downloaded on handsets. RootMetrics collects data as its drivers motor along America's highways and byways. For the latest report, RootMetrics conducted 3.9 million tests while driving 230,000 miles and it also tested signals in 8,000 indoor locations. 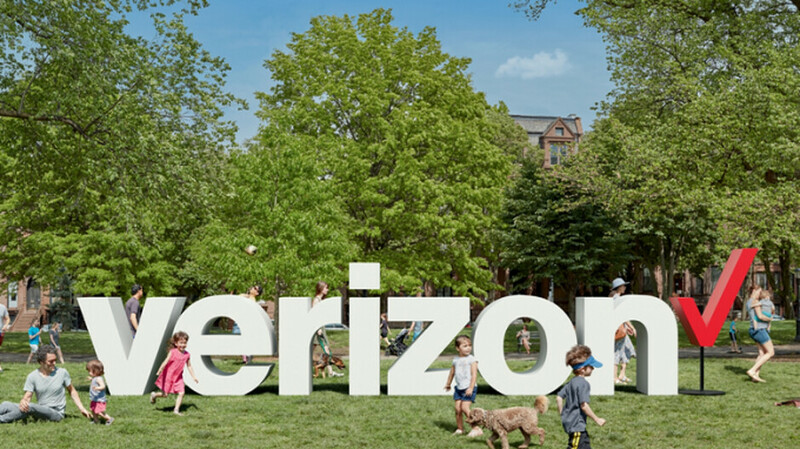 The national rankings had Verizon on top with AT&T second; T-Mobile and Sprint were third and fourth, respectively. For Big Red, it was the 11th consecutive overall win awarded by RootMetrics; the research firm issues two reports a year with each one covering a period of six months. 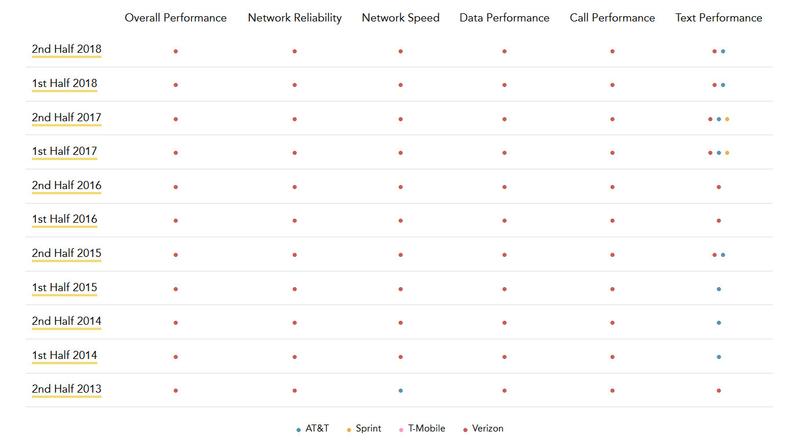 The streak started with the report that tested the nation's four major carriers during the second half of 2013. It’s the best carrier period! I would rather pay a few extra bucks a month for reliability than to put up with dropped calls from the others. Even when dumb and dumber merge they still won’t be anywhere close to the coverage of Verizon. agreed. had all carriers and have friends on all of the major carriers. My phone always works and always works where theirs doesn't. I'll pay the extra money for that. Root Metrics is funded by Verizon. This is Verizon saying Verizon is the best. I'll stick with GWS One Score. Verizon is good, but AT&T is best. And GWS is probably funded by ATT where does that leave us? I don't think an "educated customer" has claimed Verizon being the best since 2006.
that's probably a fair statement. Verizon does have good coverage during travel by car. I feel that coverage is comparable for 90% of the nation's population though. If you're in a Chicago/Minneapolis suburb, I'm sure you would have service from any carrier. Also I helped my sister move from NYC to Minneapolis last year. We drove cross country she has t-mobile my personal phone is Verizon, My work phone is Sprint, and a ATT Nighthawk mr1100 hotspot. Same story verizon was much better than everyone else. Also I don't just travel by car in my seven state area overnights am in and out of businesses in just about all the small towns.